I have had a number of educators have asked me in the past about my privacy guidelines for my class blog. Recently, an educator contacted me for advice when their principal would not allow their class blog to be public. That is, the principal would not allow blogging unless the blog was completely password protected. I disagree with this for a number of reasons. I believe in educating, not blocking. Cyber safety is an extremely important issue and one that I have blogged about in the past. There are many ways to teach about cyber safety and in my own experience, blogging has been the ideal avenue to teach my young students about this topic and appropriate online behaviours. Through blogging, all my students know not to publish their surnames or reveal other personal information about themselves including passwords. They also know that what they publish on the internet is forever and cannot be taken back. My students are becoming aware of correct netiquette. If my blog was password protected, these sorts of guidelines would not be as relevant and would be more difficult to teach. It is important that we give our students experience using online technologies in a supervised environment. Technology is not going away. If we do not teach the children how to use technologies like blogs safely and appropriately then we are doing them a disservice. It my opinion, it is more harmful to “protect” students through a closed blog than it is to open their eyes to the real world of online technologies through open blogs. To me, having a closed blog feels like “pretending to use technology” and the full benefits of blogging cannot experienced. One of the most rewarding experiences my class has had through blogging has been making connections with classes all around the world. The learning that has taken place through these experiences has been priceless and a closed blog would not have allowed for this. Read about just some of these collaborative experiences here , here and here. What do you think about the issue of public/private blogs? I completely agree with the importance of educating our young students about cyber safety and correct online behaviours through blogging. I am very happy that all 22 of my students’ parents support the blog and have no issues with me teaching their children about netiquette. I believe my Grade Two students have a firm understanding of what is/is not acceptable information to publish on the internet and our focus on appropriate online behaviour has also increased their skills in using the internet independently. Luckily, my principal also supports class blogs and embraces the benefits of making global connections. I would encourage all of those people who discourage public blogs and enforce a password protected scheme to reconsider their policies and instead, think about the potential benefits and huge rewards that blogging creates for our students. @ Kelly – thanks for a great comment. I think the fact that all our parents support blogging come down to the fact that we educate them about it. I’m enjoying educating our Grade 2 students on all things cyber safety from a young age. We’re lucky to have a supportive principal! I so agree, if my students make a mistake, I would so much rather it be out in the open in my classroom where I can correct and work with the students, than out of the classroom where an adult may not know about it. It is essential that kids learn good habits and use of technology and they just can’t get that without a little trial and error. Let’s give them the trial/error in a more controlled environment where we can teach students the right way to use technology. @ Kelly, you’re right – making mistakes in the classroom is much more preferable. Trial and error in a controlled environment sounds like a great way to go about it! Thanks for your comment. I totally agree with you Kathleen, my class blog has opened up my students eyes to a totally new and authentic audience. I teach year 5 and all to soon they will be going behind their parents backs to open facebook accounts. By learning how to blog, comment and communicate safely they are on the way to establishing their personal and ‘clean’ digital fingerprints. By publishing work to a global audience it helps too, to make the work seem real and my students love the idea that real people are reading about what they are up to. @ Henrietta, you’re right about Facebook – I was surprised to see some Grade 3 students at my school already have accounts! “Clean digital fingerprints” is a nice way of putting it too. My students also love that “real people” are seeing their work. It suddenly goes from just the teacher (and maybe parents) looking at their work to a broad and exciting audience! Thank you for addressing a hot topic about classroom blogging. I agree with everything you’ve said and with what your commenters have contributed to the discussion. As you said, One of the most rewarding experiences my class has had through blogging has been making connections with classes all around the world. 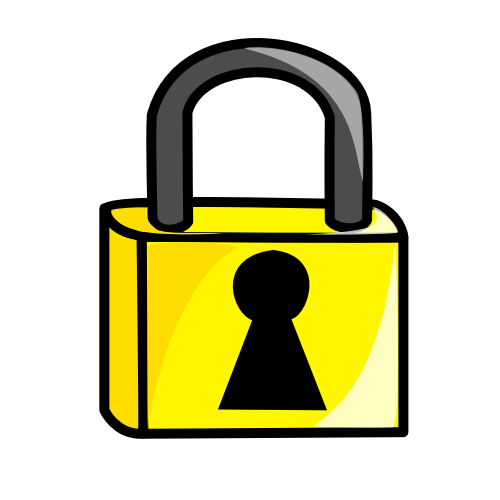 If either of our blogs were password protected…our classes would NEVER have met! The opportunities available through educational blogging are endless! Our students now know people in Australia, have a clear understanding about time zones and seasons, and are interested in learning and sharing in a global classroom. That excitement to learn is what all teachers and parents want for children. One personal observation I have has to do with passwords and parent participation. Passwords are barriers. The more accessible my blog is, the more likely I am to have parent involvement. With all the demands that parents are dealing with, it is tough sometimes to get parents to participate/comment on our classroom blog. Remembering passwords for all the apps, the emails, the websites…is a problem for many people. Keeping access open makes it easier for parents to find us and join in the conversations. Keep up the great work, Kathleen! @ Linda, thanks for your terrific comment. How terrible it would be if our classes had never met! So many fantastic learning opportunities would never have happened. You’re exactly right about passwords just being another barrier. We do all that we can to get parent participation on our blogs and we certainly don’t want any avoidable barriers! I think fear is often due to lack of understanding and this seems to be the case with schools who are insisting on password protected blogs. I’ve always thought the same, that it’s best to teach kids how to live online — not just as far as blogging is concerned but also wikis and social networking. As Tanya Byron pointed out in her report for the UK government (http://www.dcsf.gov.uk/ukccis/userfiles/file/FinalReportBookmarked.pdf), swimming pools are dangerous places, but we don’t ban kids from going to them. We teach them how to swim, put notices up about the dangers, and have lifeguards in attendance. The only thing I would say is that, given the huge concerns around e-safety (at least in the UK), it would be a brave person indeed who made their blog completey open without discussing it with their Principal first, and making sure parents knew that their children were still being protected from ill-intentioned people. @ Terry, I love the swimming pool analogy. This is perfect. I would never recommend getting into blogging without first coming up with some blogging guidelines. I also agree that blogs are far better open. My principal initially had some concerns about blogging and all my posts were password protected until an admin staff member had checked them. By doing this, his concerns were alleviated and I no longer password protect unless I have a real reason for doing so (photos with names against them, for instance). Hopefully, principals who are insisting on closed posts will come to see the benefit of more open communication as they become more accustomed to blogging being a valid form of educating children in a number of areas. @ Cathy, I’m glad your principal came around. It’s really important to educate our prins so they know that blogging is not to be feared. Your class blog looks great! I agree with all of the arguments for an “open” blog. To me, password-protecting our class or student blogs would really be defeating the object of having them in the first place. Some of my students have started to develop some great online relationships with classes from schools on the other side of the world, and that just wouldn’t happen if their blogs were closed. At the beginning of the year I informed parents that I would be moderating all comments on student blogs, but as we have developed our knowledge and understanding many students are beginning to moderate their own comments. As I receive an email whenever there’s a comment I’m completely aware of which comments they approve and am pleased that they email me, or speak to em in class, if there is a comment they are unsure of. I’m not sure that I would continue blogging if we were restricted to a closed environment. @ Pam, all such valid points. I totally agree. I’m also not sure that i would continue blogging if we were restricted to a closed environment. I think the cons of closed blogging would far outweigh the pros! Like you, I would never wanted to have missed making the wonderful global connections with my class through blogging. The things my Grade 2s are learning through these experiences are priceless! Thanks for a terrific comment. Couldn’t agree more with you and would love your advice. I set up my first blog last year at http://mrwict.global2.vic.edu.au/. 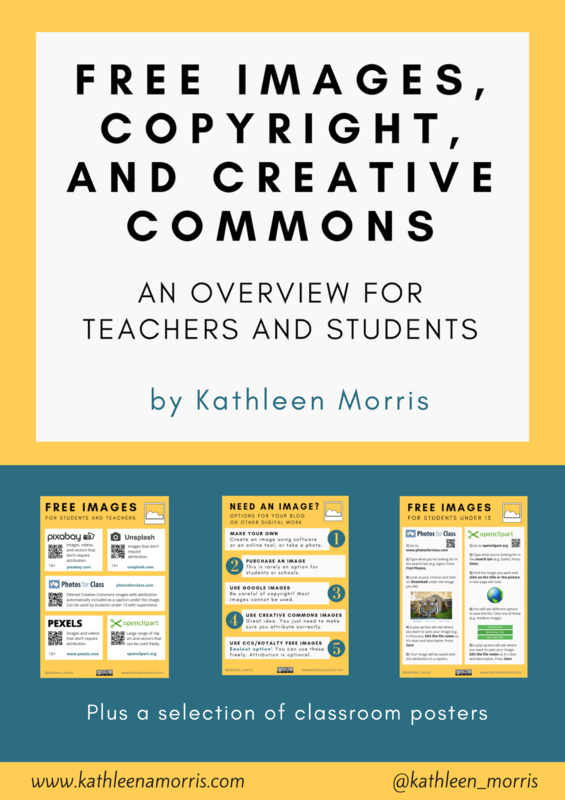 The idea I had was that this blog would be the student’s digital portfolios. Each student has a category on the blog that is shown by their initials and the year they finish grade 6. I am concerned about the fact that there is worksheets from their books on the www. As a parent would we like our kids work from their books up online like this? Or am I being a bit paranoid! What do you think? Thanks for your comment. 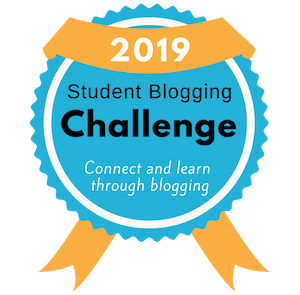 It’s a great idea to have student categories on your blog. I used to do that and it worked well. I’m not really sure of my answer to your question about putting worksheets on the blog. I do put student work on my class blog regularly but I prefer to use creative work that isn’t right/wrong – this might be creative writing, comics, artwork, videos etc. I think you should just do what you’re comfortable with. If the thought of putting worksheets on the blog makes you uncomfortable then I’d err on the side of not doing it.